While controversy around Fitbit's heart rate tracking has dominated the headlines, it hasn't held back the company's move into the corporate world. That's according to Fitbit Wellness VP and general manager Amy McDonough, who we spoke with during the company's Captivate Summit in San Francisco. 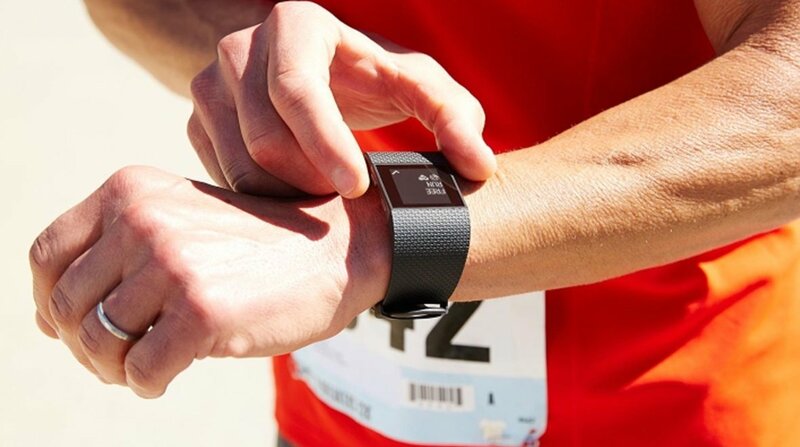 Fitbit Wellness has launched Group Health which unites its various programs that are offered to corporate wellness partners, which use trackers like Fitbit Alta and Fitbit Blaze for weight management leaders, insurers and clinical researchers. And it's big business, literally. CEO and co-founder James Park noted during a keynote that companies like McKesson have saved $7 million dollars on the program due to better employee job performance while BP has seen a 3.5% reduction in health care spending. We asked McDonough about the lawsuit and how it would impact a program that relies so heavily on accurate data. She reiterated the company's stance that its wearables are not medical devices, but testing has been thorough with PurePulse before and after the lawsuit. "To be clear, we're not a medical device, however we vigorously stand behind that accuracy of the heart rate technology. It was three years in development in our own R&D labs with some of the best and brightest. It's called PurePulse - it was actually tested prior to the class action lawsuit that you're referencing -and tested with really great results independently by consumer reports. Once this lawsuit was announced, they actually went back and retested, and they found the same accuracy results and they published that. We stand behind it and so do organizations like Consumer Reports. "In terms of how it affects programs, heart rate actually interestingly is a really personal metric. It's a really personal indicator of health - important to not only runners and marathoners and people training for an event - but also your average every day person. You've got to know your calories in and calories out, heart rate is a great way to get a more accurate assessment of the calories you're burning all day long. It's really important to the consumer side." We've already published our conversation with the spoke with the doctor behind the lawsuit who argued that Consumer Reports' research used "flawed methodology." Regardless, apparently none of it will even affect the Wellness program - heart rate isn't a metric given out to companies. "It (heart rate) is actually not something we share on the corporate side. When we share data with corporations, we're sharing a subset of the overall data that's available to an individual on the Fitbit platform. We share with that as a best practice - we have a Wellness community pledge which we publish on the website. "We share types of data like steps, distance, active minutes, floors climbed and sleep only in aggregate. We're not sharing individual weight, what you ate for breakfast - or heart rate." When asked why heart rate is not included, McDonough said it's simply a matter of privacy and that it's a measurement that's not needed in terms of Fitbit Wellness. "Most programs do not need that data in order to run an effective program. And most employees think of that as personal information. We encourage employers to think about what data they really need to run an effective program - if they don't need that data to run a program effectively, why collect it? Why have extra data you don't need to be effective?" But that data is needed on the consumer side of things - which isn't what Wellness is about, of course. McDonough also sums up the whole affair by reiterating Fitbit's dedication to accuracy across all its devices, both enterprise and consumer. "I kind of broke that into two points - the first one is that we feel very strongly that our data is accurate and it's been tested independently and in the corporate wellness space, hasn't really had an impact. "Our data has shown that it's really accurate whether you're talking about steps or other things. Fundamentally, the importance of something like steps show that you're trending in the right direction. Again, it's not a medical diagnostic device - it's really to give you insights and awareness about your behavior, and to keep you accountable."